Just before midnight on Thursday, Indian Space Research Organisation’s first mission of 2019 will put into space a 130-kg military imaging satellite, Microsat-R. According to information obtained from different sources Microsat-R and its payload come assembled from a handful of laboratories of the Defence Research and Development Organisation (DRDO) and is meant for military use. The satellite was “assembled outside and ISRO only interfaced it” with its own systems and the launch vehicle, just as it treats any customer satellite. 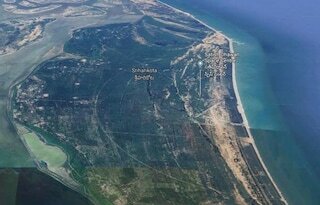 C-44 will be launched around 11.30 p.m. from the older First Launch Pad at the Satish Dhawan Space Centre, Sriharikota. For its part, ISRO is experimenting on two aspects of the vehicle. One is to reuse a waste stage. “For us, the excitement is about reusing the spent fourth stage [PS4] of the rocket as an orbiting platform for future experiments,” an official said. Kalamsat, a small student payload, will be the first to use PS4 as an orbital platform. Amid the 28-hour countdown for the launch, ISRO Chairman K.Sivan said the PS4-Kalamsat experiment would be short-lived. It would start about 1.5 hours from take-off and last about 14 hours until Friday midday. Later experiments with PS4 will be improved gradually, he said.